One of the least likely stories of the many being written in the Australian beer world today is the rise of the Gold Coast as a hotbed of world class breweries. Balter and Black Hops have been busy stuffing their trophy cabinets in the past year or two, while there are smaller local operators like Lost Palms and Currumbin Valley Brewing plus a growing number of venues putting craft beer front and centre. But there's been a great beer story in the region for more than a decade. 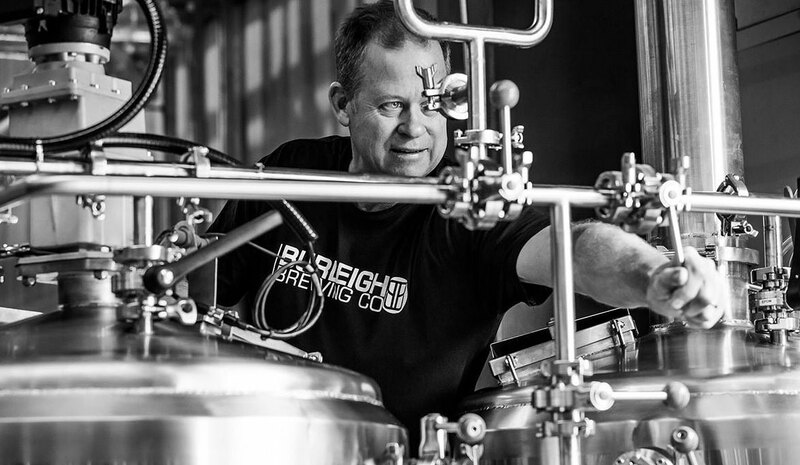 Burleigh Brewing launched its first beers in 2007, started winning on the local and international stage soon after – not just for beers but as a business – and, along with Stone & Wood, arguably paved the way for good beer to find a home on the coast. "I remember being in a bottleshop in those early days, with Brennan doing a tasting in another one," says Peta. "And we'd be calling each other, 'How many did you manage to give away?'" It turned out Gold Coast drinkers weren't even interested in trying their beer for free; instead, they found there was an attitude that if the beer was brewed locally it must be crap. But they were all in. "It was such a blur," Peta recalls. "We'd both quit our jobs and had no backup plan. We had two kids aged four and five and couldn't really focus beyond the next week. "I just wanted to get to a point where we had something sustainable and that we were proud of. I didn't know what it would look like or what size it would be. But I knew what it was going to feel like. "[People] who are opening now or in more recent times certainly have some breweries to look to to imagine what they might look like; that wasn't there then." Inside the original Burleigh brewery back in 2010. The early years prior to 2012 were slow, forcing them to look further afield for an audience, initially targeting Brisbane. "That kind of started to turn the wheels first," she says. "But that was already a fair way into our journey. It's only been the last few years that the Gold Coast has started to change." 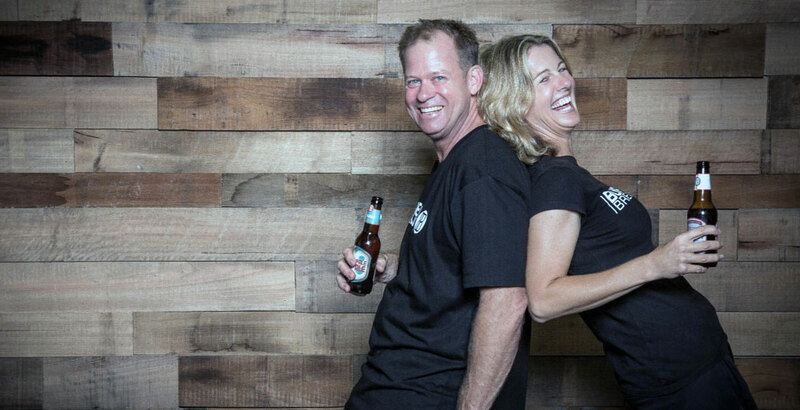 They moved to brewery to a larger site not far from their original one in Burleigh Heads in 2015 and continue to grow "slow and steady", selling all of their beer within Australia and only sending it overseas to be judged at the World Beer Cup and World Beer Challenge, where they've picked up multiple golds over the years. "It's the best thing for the beer," says Peta. "It's what craft brewing is about. When we travel overseas, we want to taste what's over there. And, if people ask about our beer, I tell them they need to come to Australia to try it!" 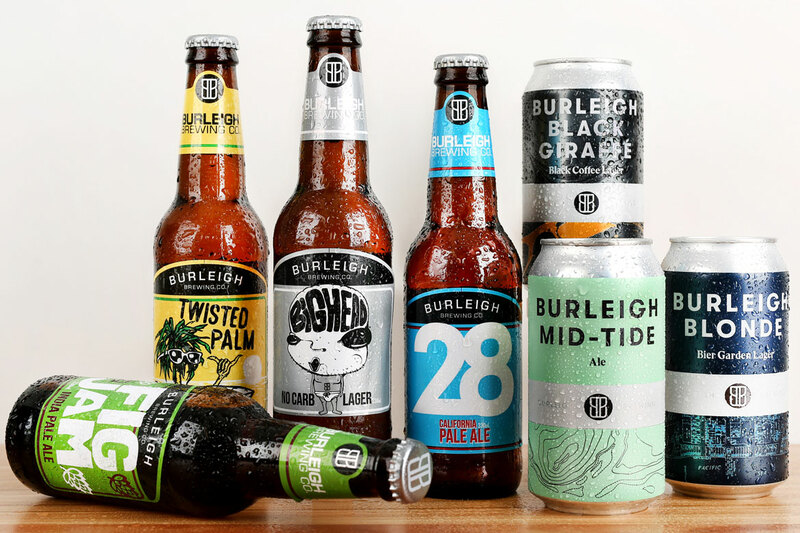 While they might not garner as many headlines or make as big a noise as many other local brewing companies, Burleigh remains one of the largest producers in the country. Its success within the community helped see Peta take a role on the Commonwealth Games Organising Community – "a fantastic experience," she says. As for the future of the wider industry, the Fieldings are just back from a trip to Asheville, North Carolina, where there are 45 breweries within a town of 100,000 and dozens more in the surrounding region. The brewing community has made beer very much part of the experience for anyone visiting the region and, despite having the highest density of breweries per capita in the US, it appears to be sustainable. "From our experience in America, I'd never say there won't be a market fo that," says Peta. "I hope so. I believe the consumer will be the driving force." As for their role in helping develop the local beer scene, she says: "It's very cool to look back and look at the changes and think maybe we played a little part in that. The Gold Coast is very proud of what's happening with brewing." So, ahead of The Beeries' celebration of the local beer community tonight (albeit without the Fieldings as it's their son's 17th birthday), here's Brennan (with a little input from Peta) to tell us more about the story behind the story for our Brew & A series. I didn’t know it at the time, but I was extremely fortunate to have a "beer explorer" father way before that was a "thing". Back in the mid 70s when I was literally just a little kid, I remember Dad’s approach to beer was to try to find things that were different, or at least not the "typical" US beer drinker’s go-to. Although I wasn’t around, Dad was drinking Anchor Steam when he lived in San Fran back in 1965. Talk about an early adopter! I have a distinct memory from my childhood on the back of a boat in Hawaii. Dad had a beer in his hand and he was telling me – I was probably all of six or seven – how excited he was to have found one still made in Switzerland, even though the rights to produce the brand locally had been sold into America. Turns out that beer was a Löwenbräu. I really don’t know! It’s the only career I’ve had and the only one I’ve ever wanted. I guess I’d just be a retired brewer. The question assumes you only have one. I STILL find epiphany beers that inspire me. Probably not surprising that my first sips of beer with Dad were all pretty unique. So I quit college and did exactly that. All of the above. Plus lots of self-study and brewing on my own. My first paid role was as assistant brewer at Gordon Biersch in Hawaii. After less than a year I was asked to move to Maui to head up brewing at a relatively new operation called Shark Tooth. BF: I’m very proud of a lot of the beers we’ve done, but I think I’d have to say that my best beer is one I haven’t brewed yet. There are so many more things I still want to do! PETA FIELDING: I’m surprised he didn’t say his homebrewed Brown Ale from 1997. I was meeting Brennan at his place on our second date, to head out to a party. I was antsy to leave. He was enjoying a beer and wanted to leave when he was done. I grabbed the beer and "helped" him finish. Downed it in one gulp. Yeast! The complexities are endless. I pretty much think of my yeast strains as pets. I can’t say I’ve loved everything I’ve done. But that’s because I don’t brew only for me. I can think of plenty of times people have told me a particular beer of ours is the best we’ve ever done, and it’s one I don’t even enjoy drinking! The Burleigh lineup in 2018. 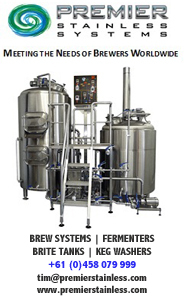 Brewing German lagers and Hefeweizens are really my "passion within a passion" in brewing. It would be amazing to brew at any of the "grandfathers" of these styles in Munich – I don’t really mind whether it’s Spaten, Schneider, Andechs or another like them. We know how hard it is. 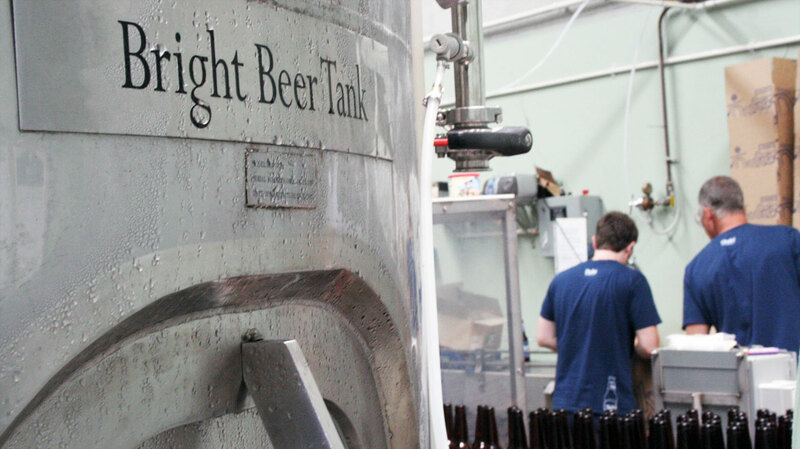 And we definitely know how hard it is to consistently put out top quality beer. I always do a silent "right on" when I try an Aussie beer I haven’t had before and it’s brewed well and maintaining its flavour and quality on the shelf. Having grown up in Hawaii and then moving to Burleigh Heads in 2002, I feel pretty connected with the world when I’m in or on the ocean, whether on a surfboard or a sailing boat. My family is a constant source of inspiration too – our two kids are turning into pretty awesome adults and my wife is an awesome mother, wife and business partner. GWAR, Mermen or Bud Shank. 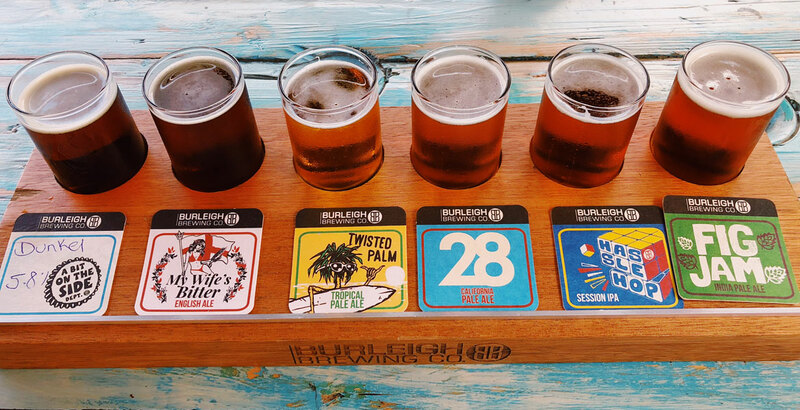 Lining up a tasting paddle at Burleigh's Gold Coast home. I’ve been brewing professionally since 1994. This one’s not so much about before becoming a brewer, but before we built Burleigh Brewing it might have been useful to know that, in 2007, it was going to be hard to give away free craft beer to Queenslanders. Let alone sell it to them! But, then again, I’m glad we just went for it anyway. Before you even attempt to brew your innovative-crazy-recipe-idea, brew yourself a clean, quality ale or lager. Then brew it again. And again. When you can brew the same one and nail it consistently EVERY time, then you’re ready to start getting a bit more adventurous. You can find more Brew & A features in the series here.